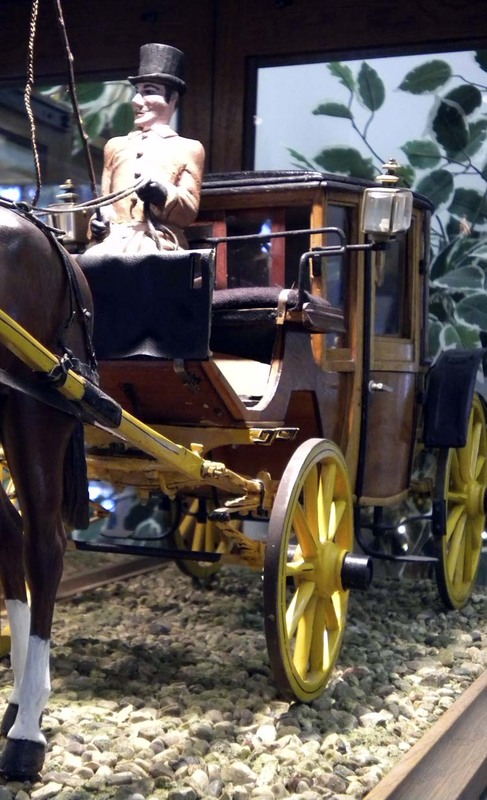 Yesterday (Day Two at the WEG), I was in the CAA office/shop all day, so I thought I would share with you part of the display we have in the “lobby” area of our building. 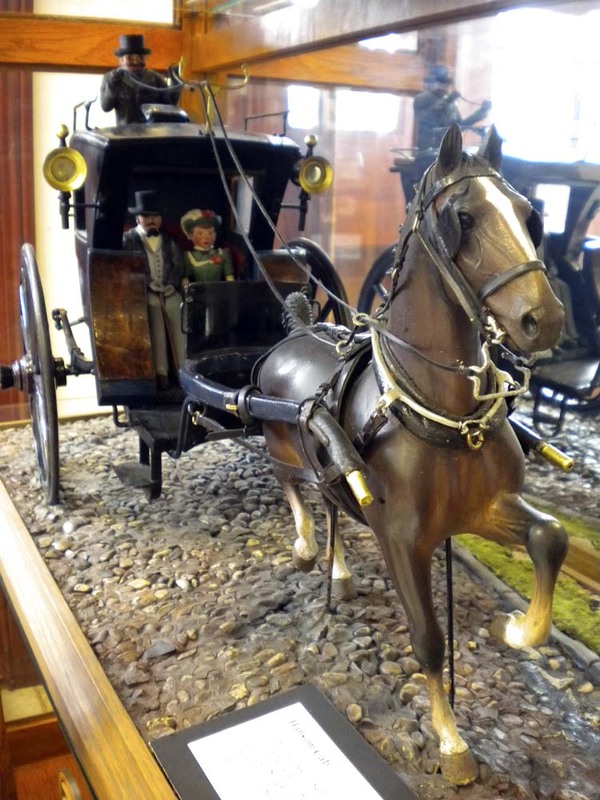 Katharine worked with Bill Cooke in the KHP’s International Museum of the Horse to arrange a loan of several exquisite models of various types of horse-drawn vehicles. 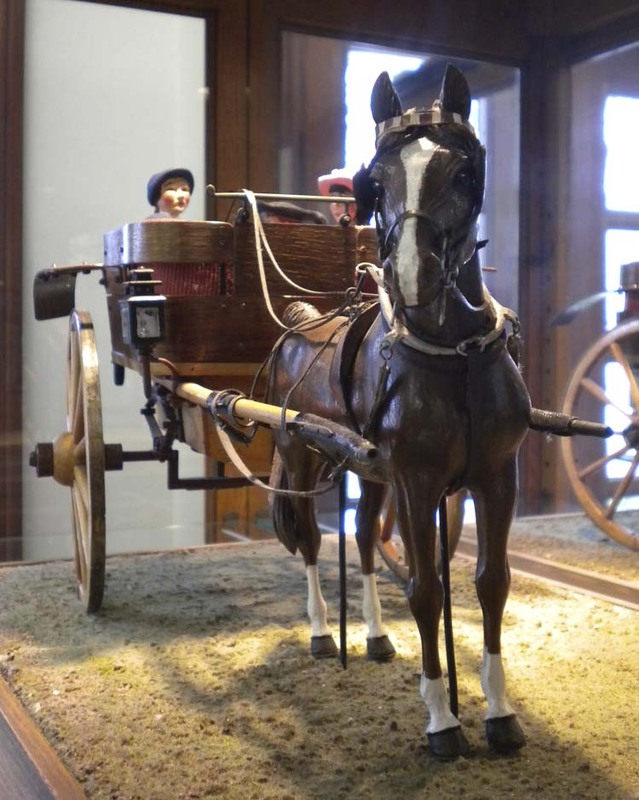 Some are horsed, some aren’t, and some even have little model drivers and passengers. That are absolutely stunning models. Aren’t they beautiful? Sadly, we don’t know very much about them. 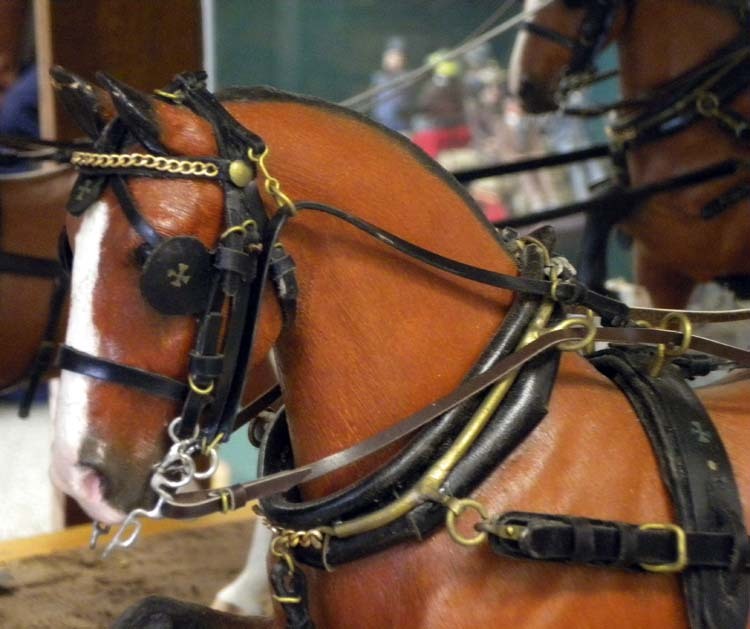 We have them here on loan from the KHP’s International Museum of the Horse, and the models are part of the museum’s Sears Collection. What a lovely display! You can be very proud of that. Enjoying your photos and updates…probably better views of it all than we’d get if we were there. Thanks so much I know its a huge effort.